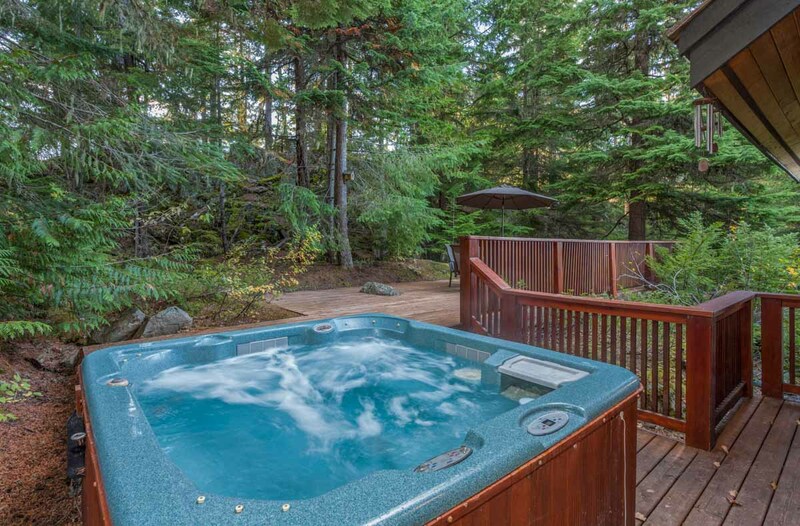 Falcon’s Nest Estate is a spacious 4 level, 4 bedroom, 3.5 bathroom home located in the prestigious Blueberry Hill neighbourhood and features its own elevator. 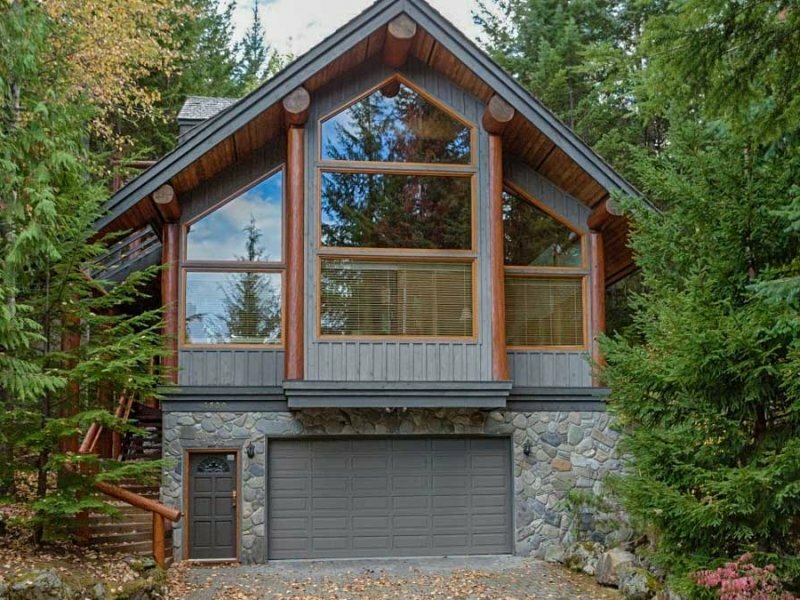 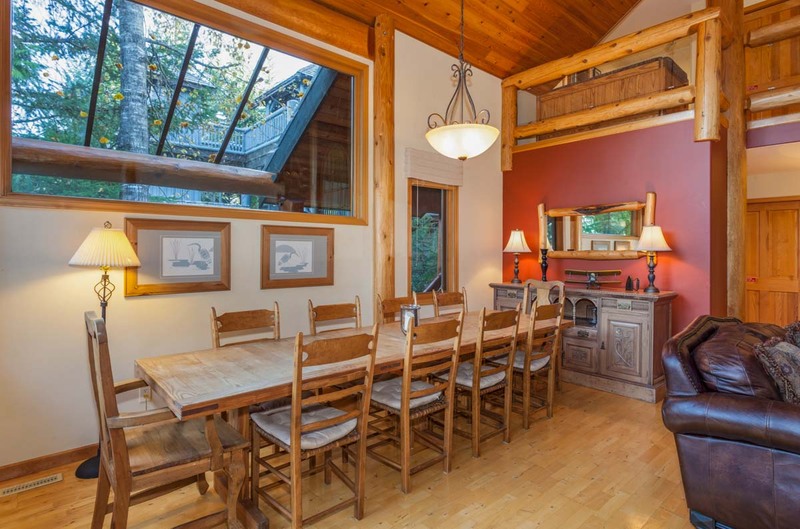 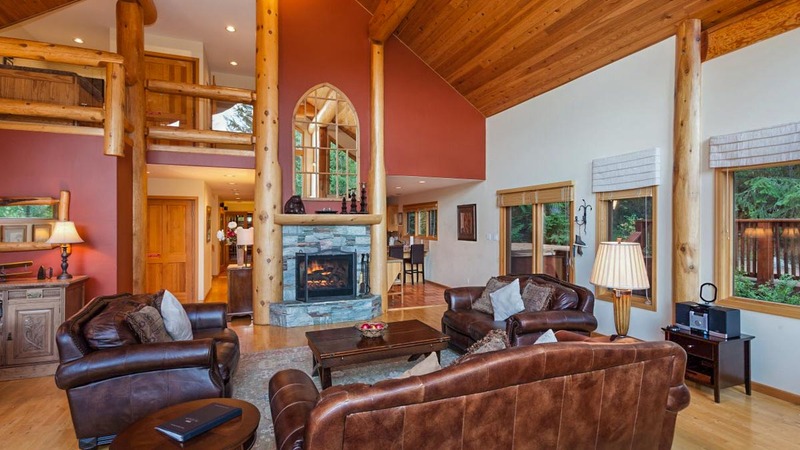 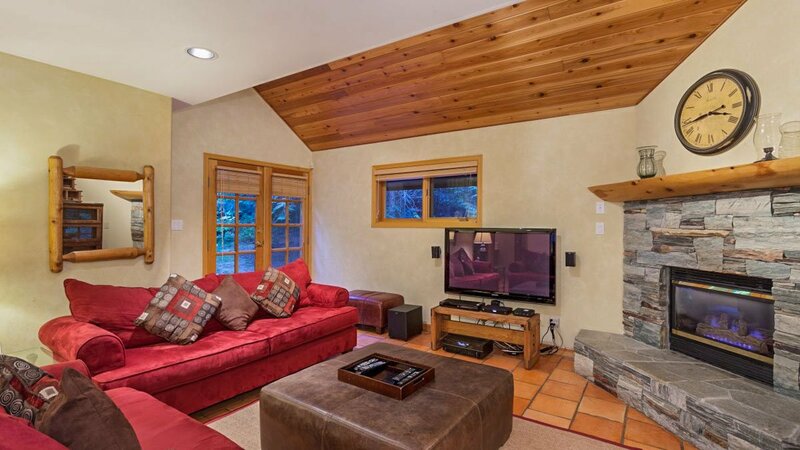 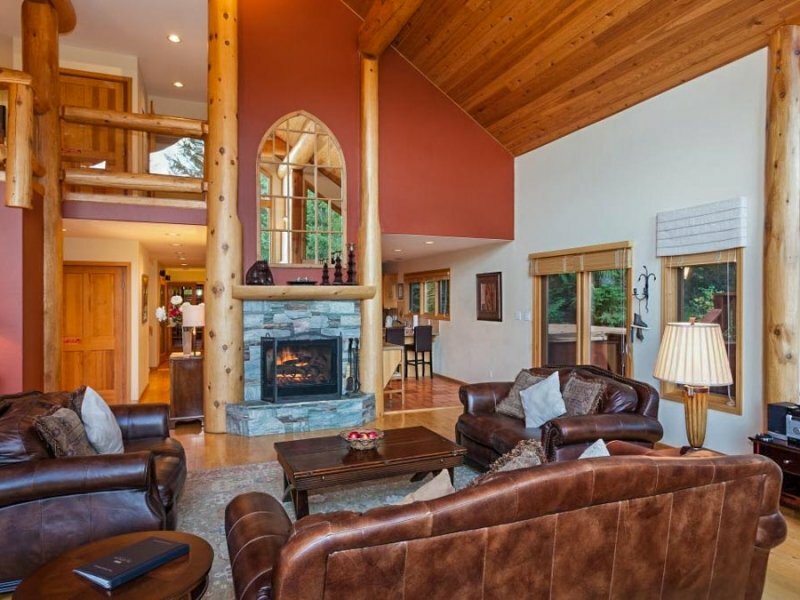 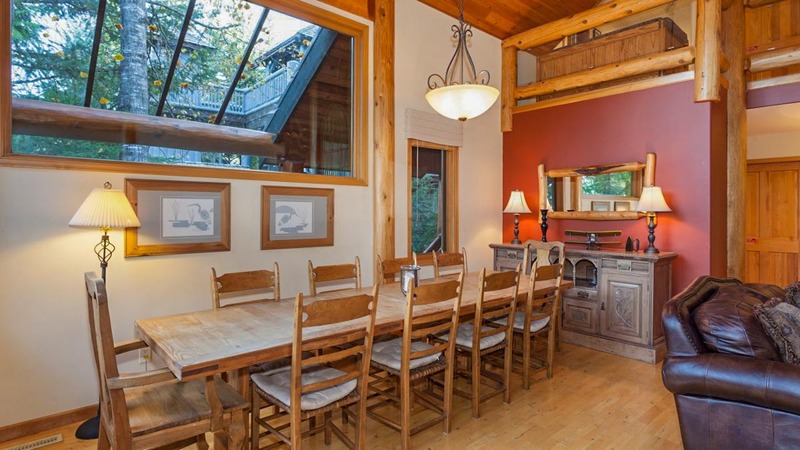 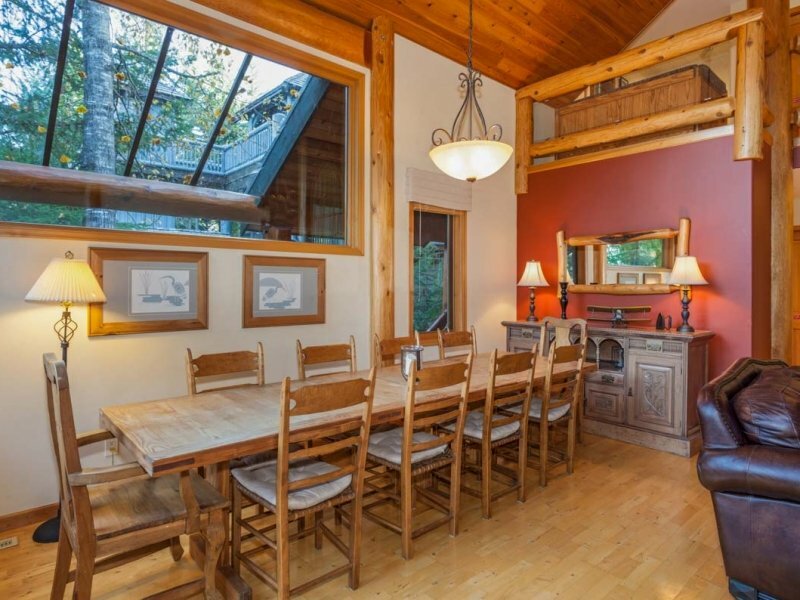 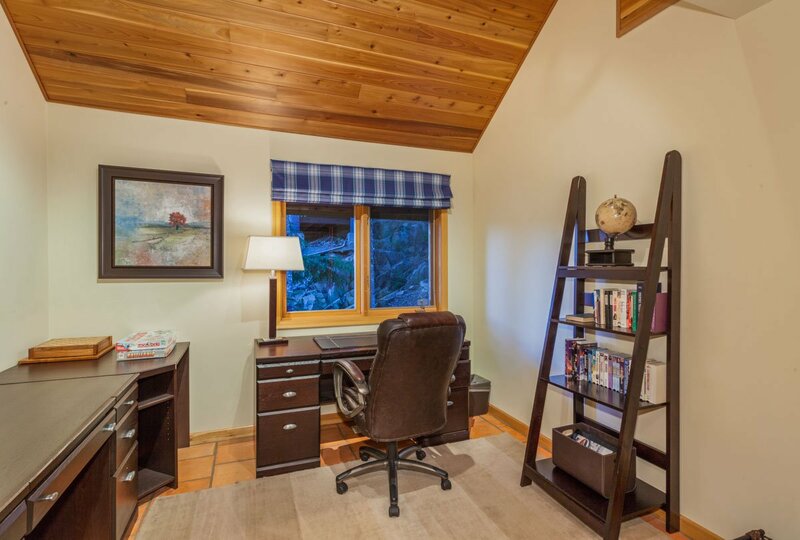 Situated on a corner lot at the end of a quiet private lane and surrounded by trees, this comfortable detached home is constructed in the classic log and beam style with vaulted ceilings and floor-to-ceiling windows in the main living room. 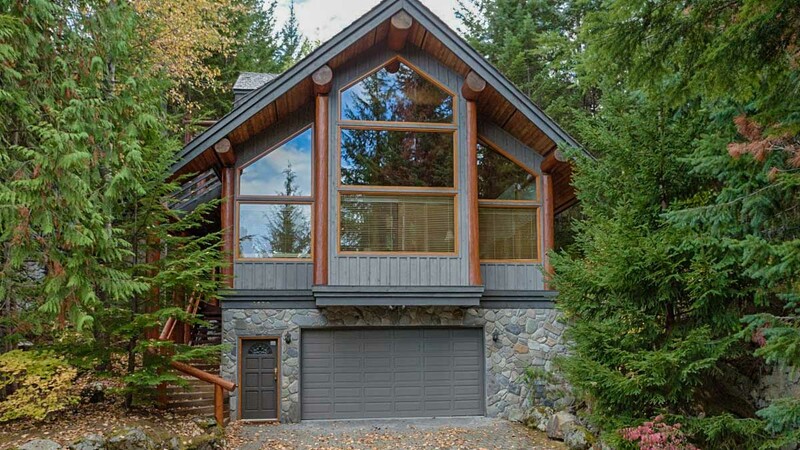 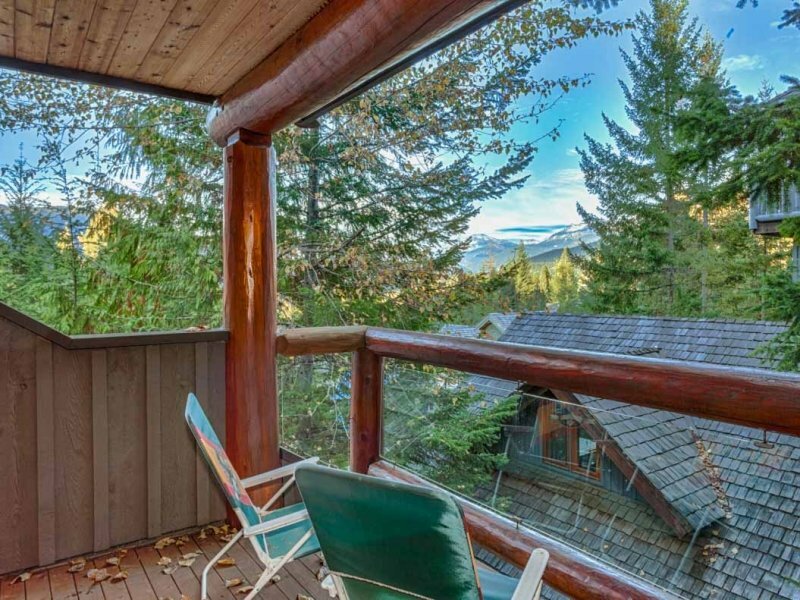 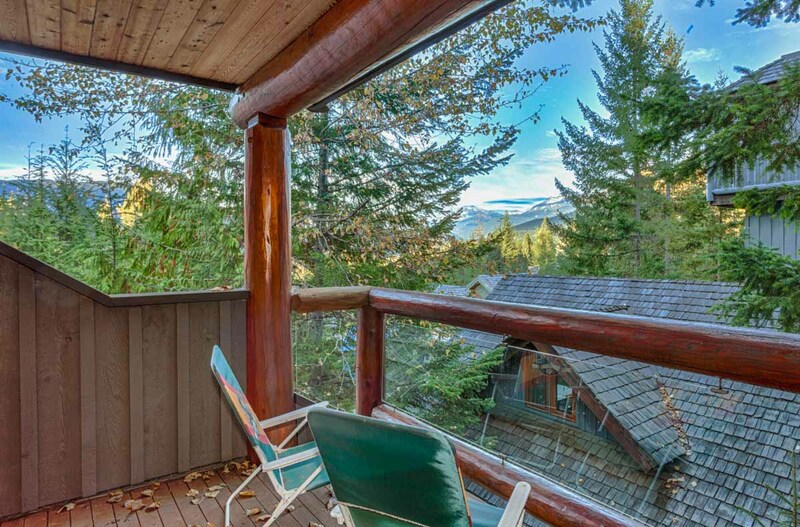 To access the slopes with ease, this home also conveniently features a parking spot at the Pan Pacific Mountainside in Whistler Village. 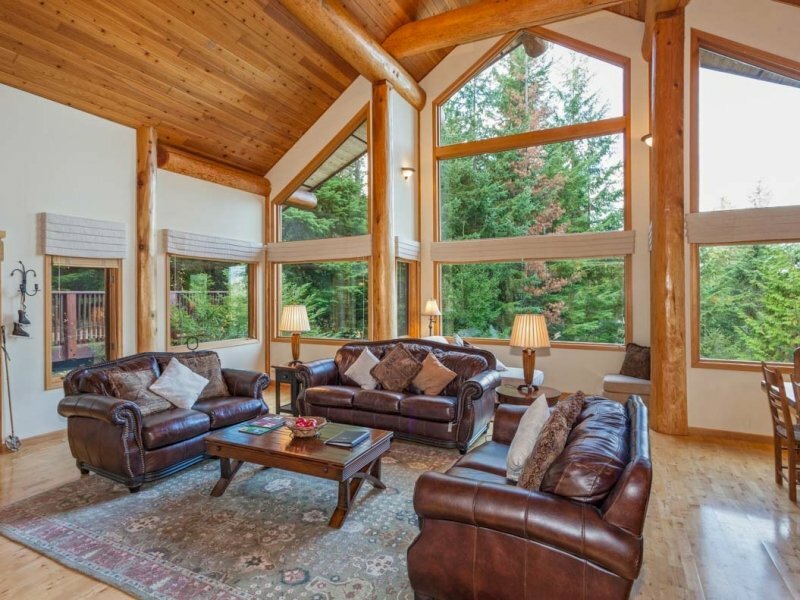 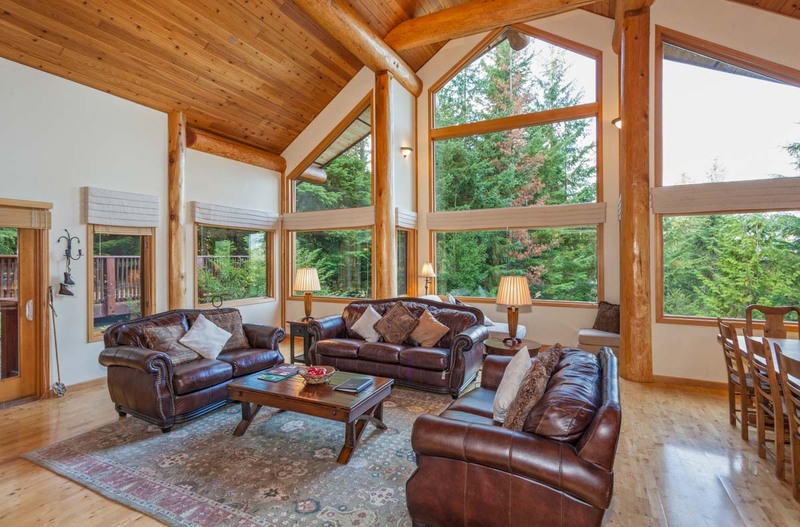 On the main living level the generous and comfortable living room features a gas fireplace and mountain views as well as a cozy sitting area by the large windows that allow for plenty of natural light. 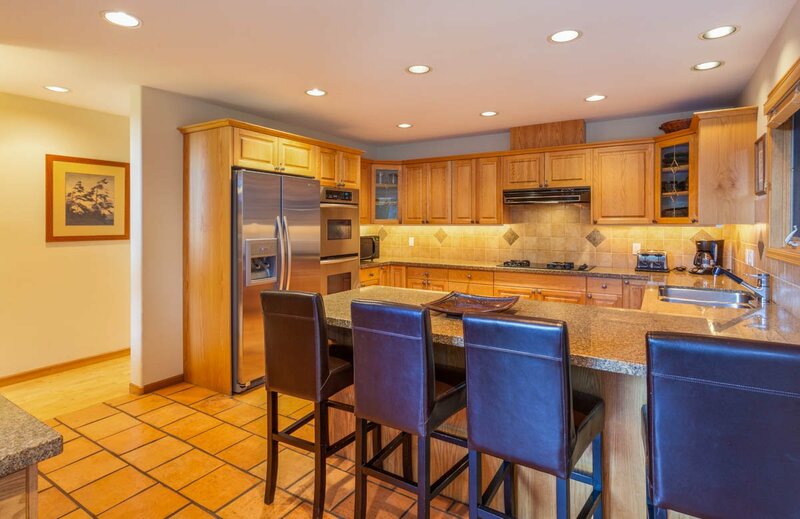 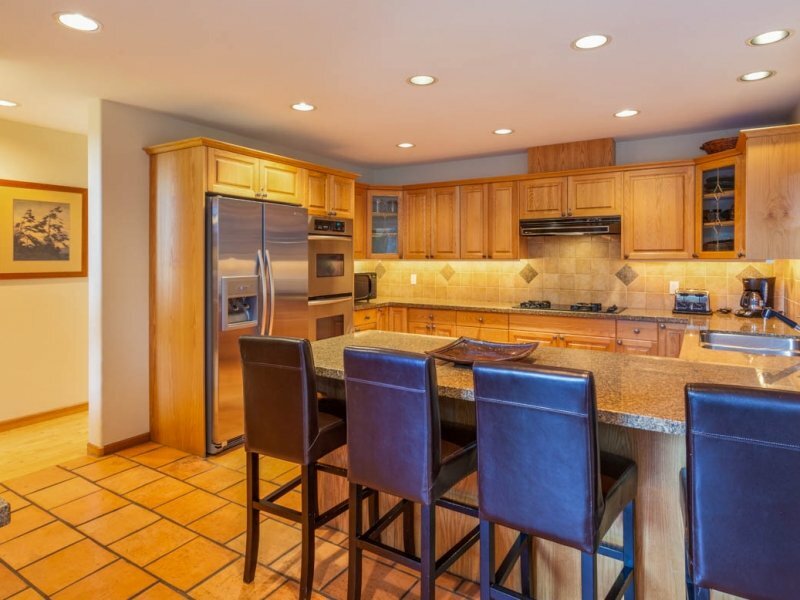 The fully equipped gourmet kitchen features granite countertops, stainless steel appliances, heated slate floors and a breakfast bar. 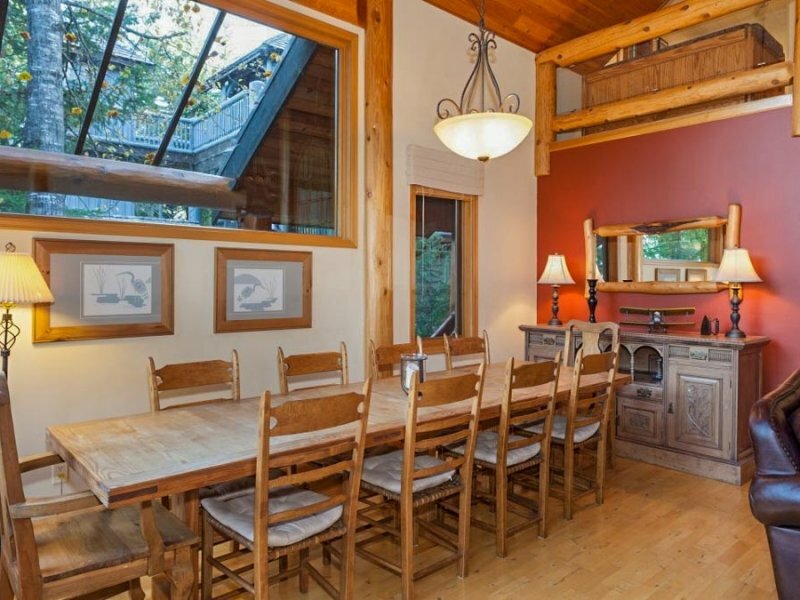 This is complemented by the dining area that seats 10 comfortably. 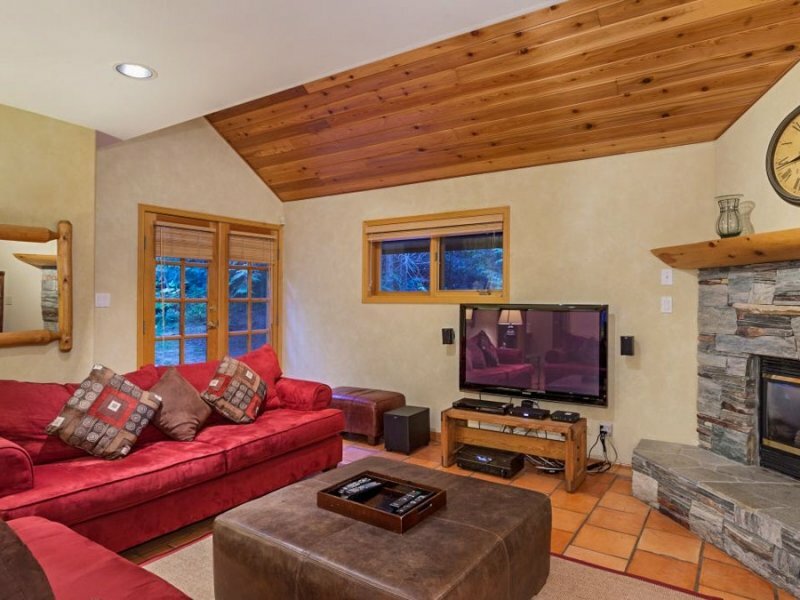 To accommodate large families or big groups, there is also a cozy media room with a large flat screen TV and fireplace on this level. 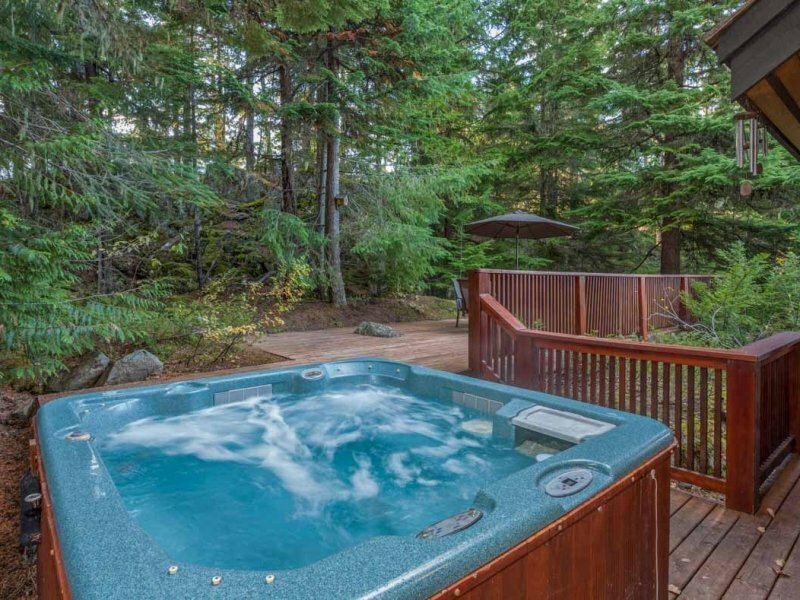 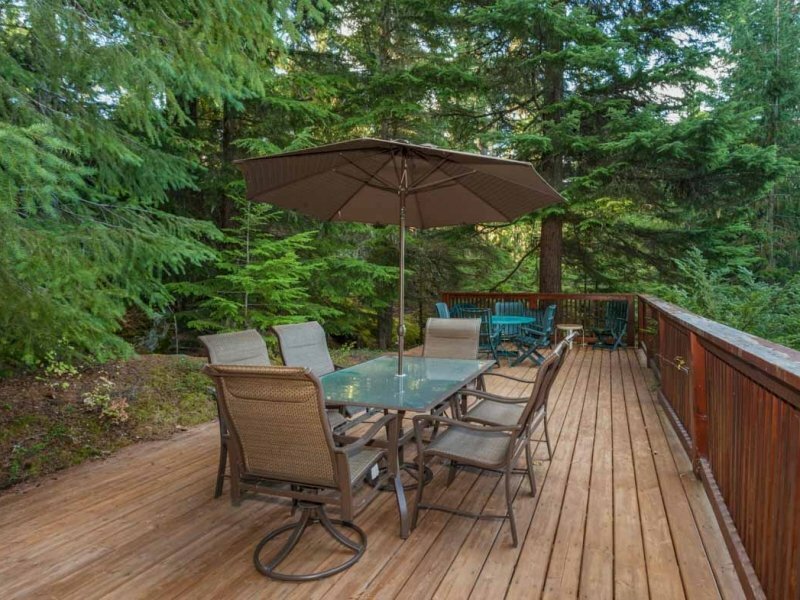 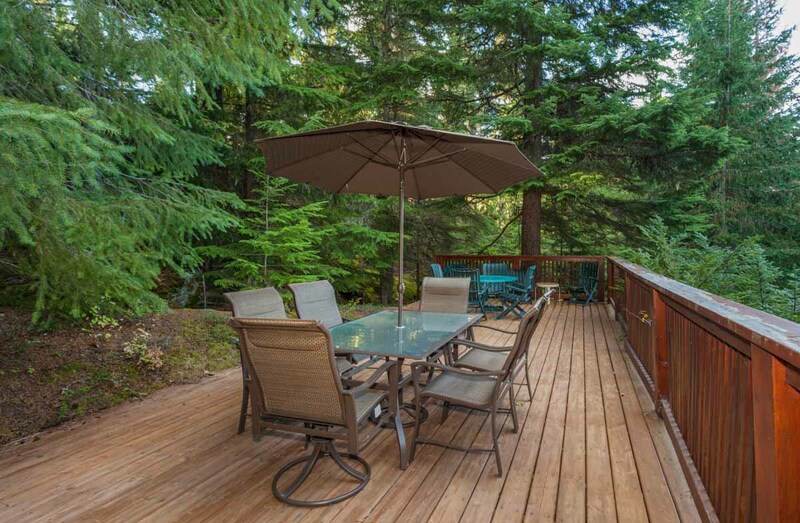 Or head out to the large deck off the living room where you can enjoy a BBQ, scenic views or relax in the private hot tub after a day on the slopes. 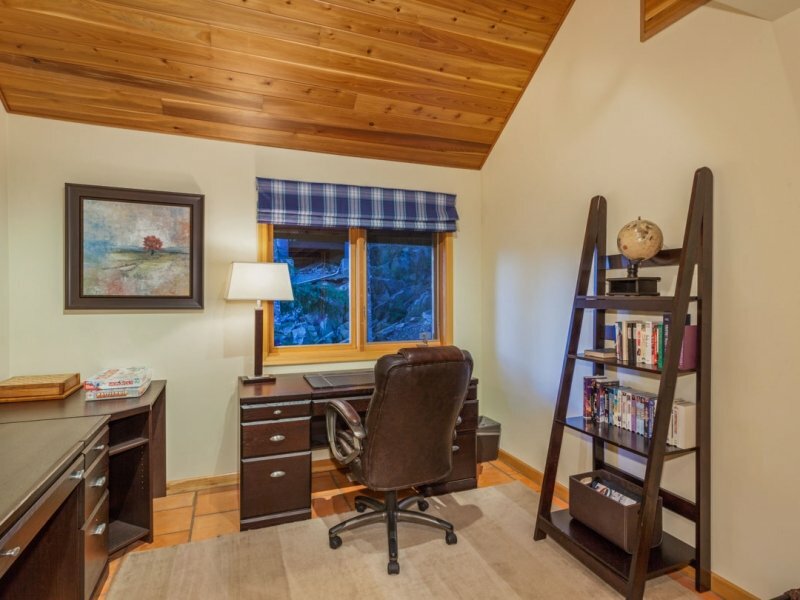 For those who need to stay connected there is also spacious office area on this level as well. 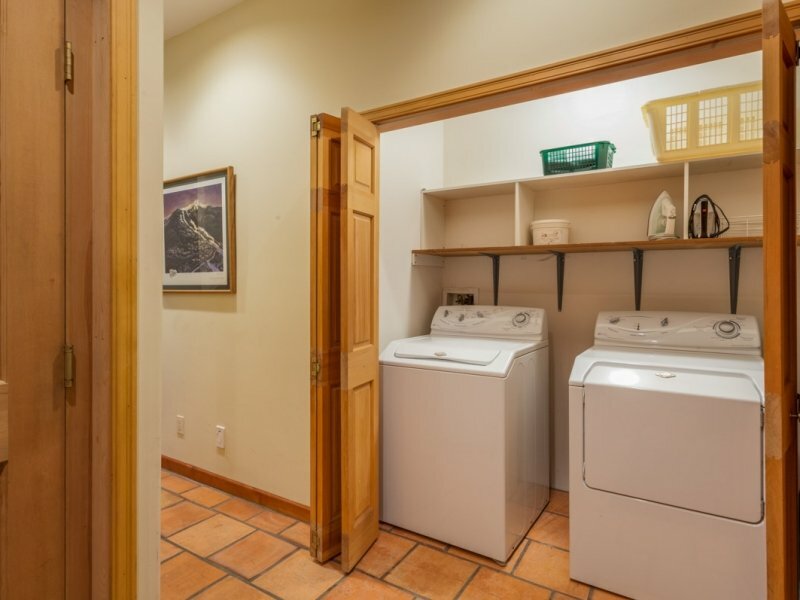 There is a heated double car garage with entry to the home, spacious mud room and storage area for all your equipment and a laundry room with washer and dryer. 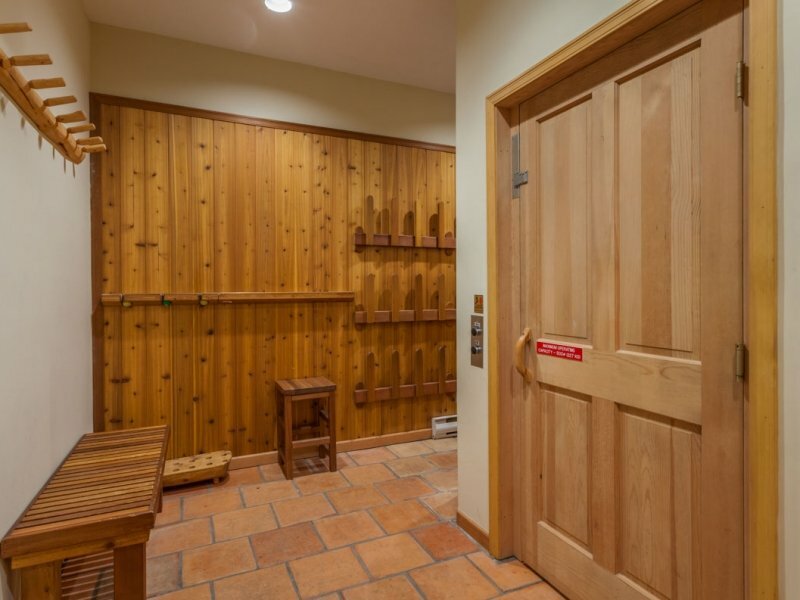 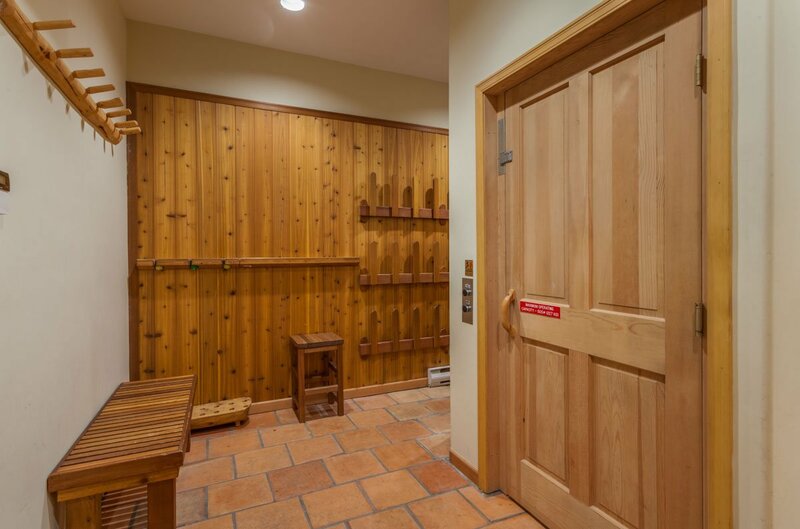 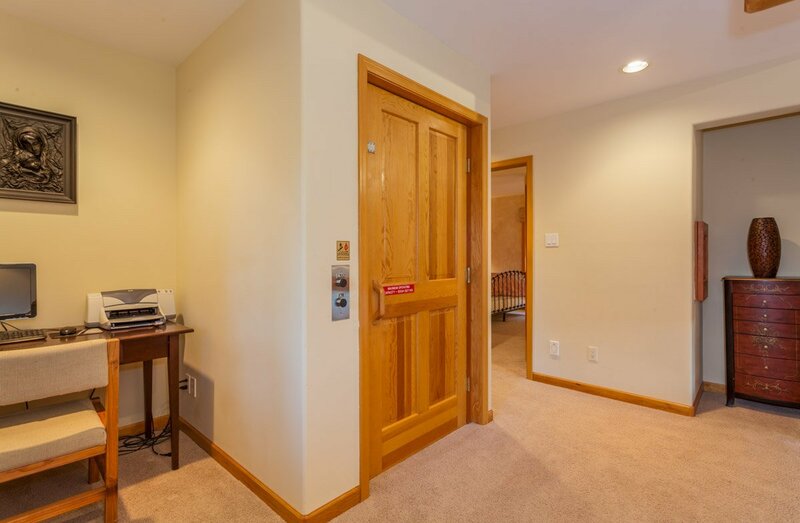 The home conveniently features a private elevator that stops at the lower mudroom level, main level and the master bedroom level – perfect for transporting luggage and for those who may have difficulty climbing stairs. 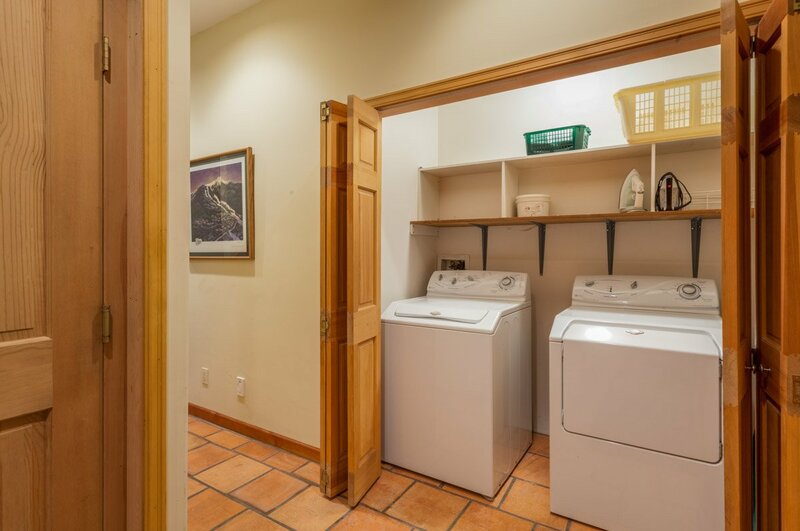 The home also features an instant hot water system, complimentary wireless internet as well as a permit for a Village parking space at the Pan Pacific Mountainside for easy access to the slopes. 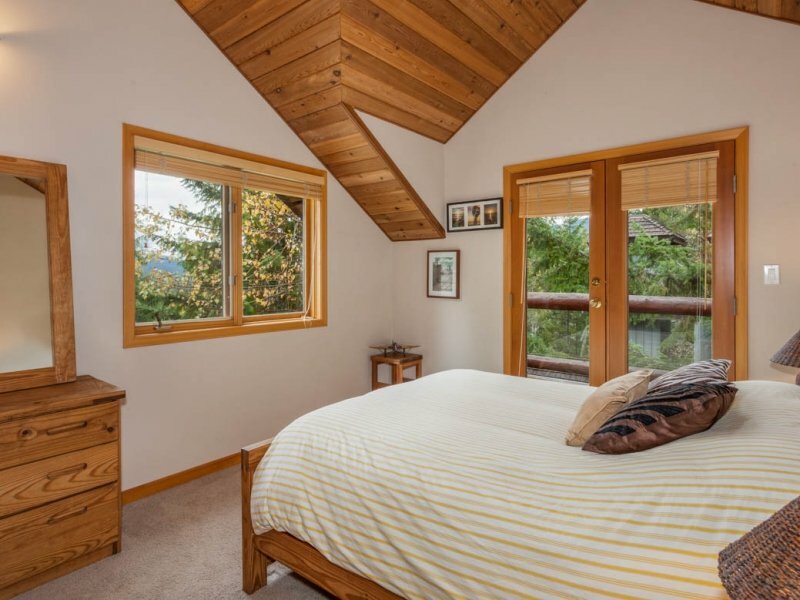 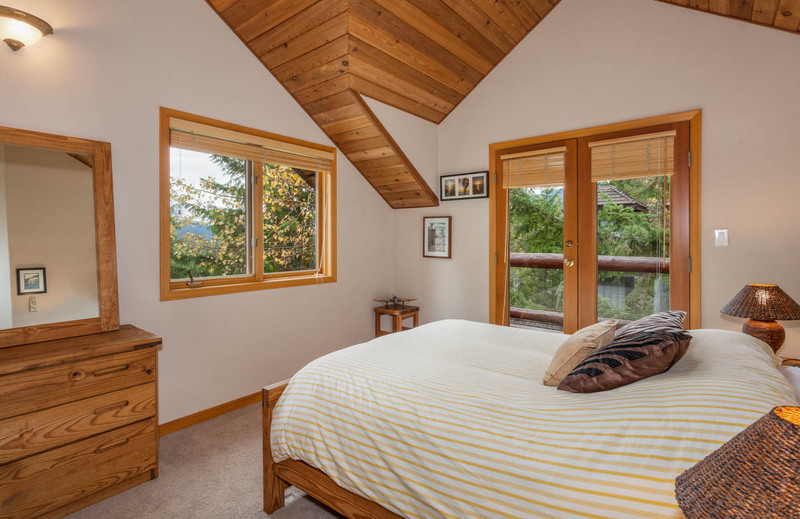 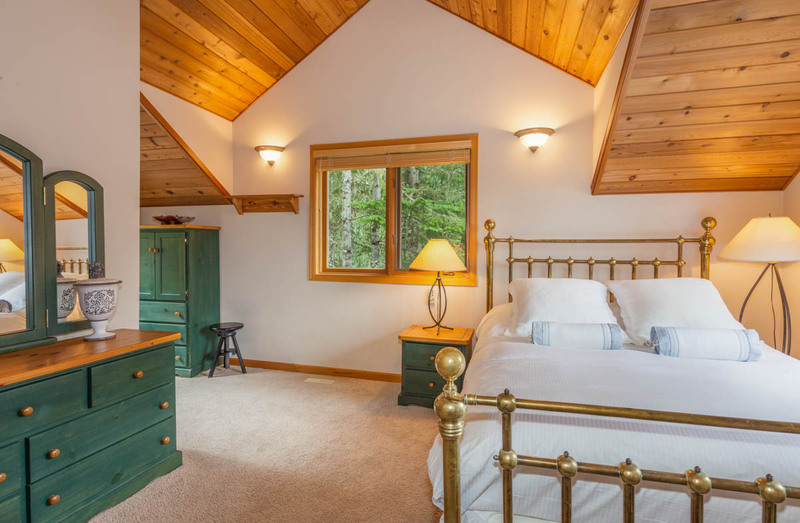 the spacious Master bedroom features a king bed, sitting area, gas fireplace and an ensuite bathroom with a glass-enclosed shower and deep soaking tub. 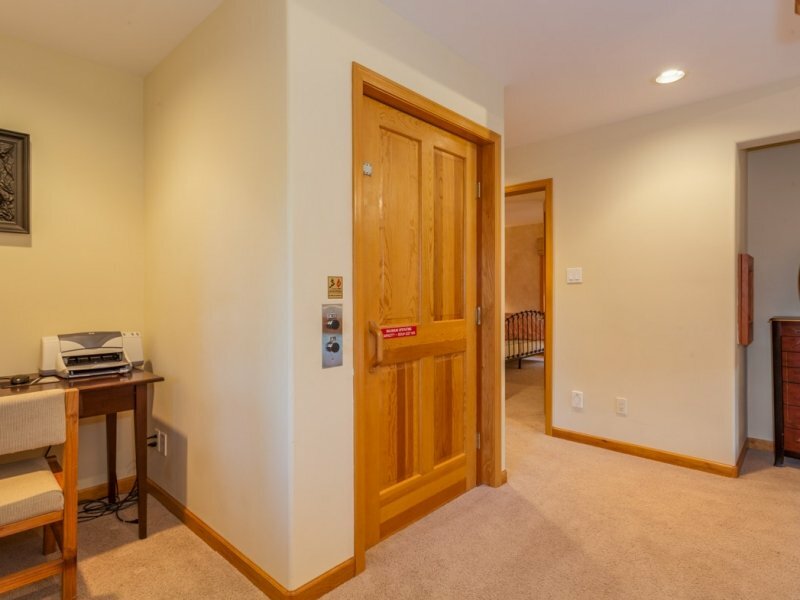 There is also an extra lounge area just off the Master Bedroom. 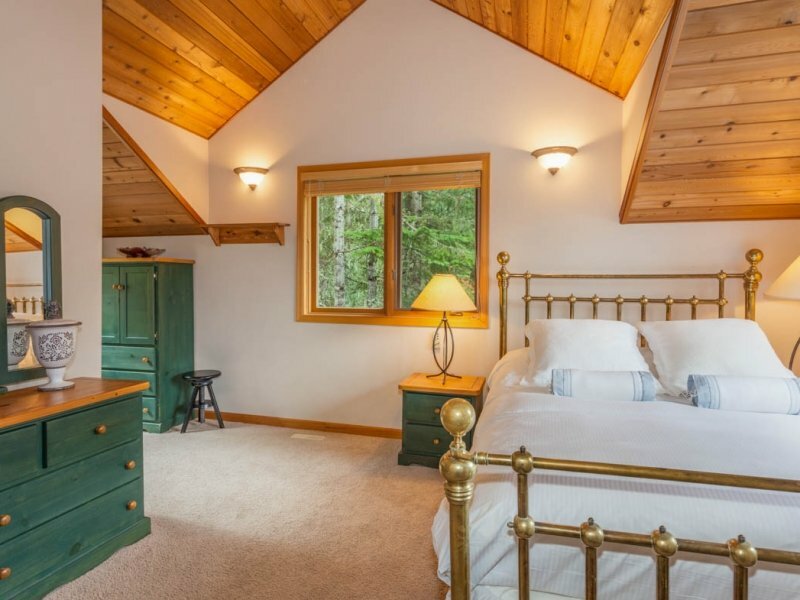 The two guest bedrooms which both feature queen beds. 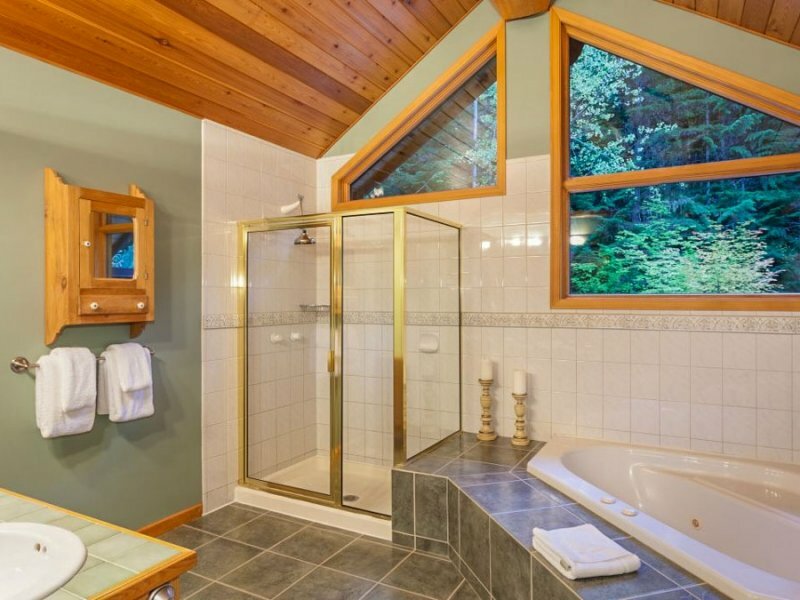 There is a separate bathroom with bathtub and overhead shower on this level. 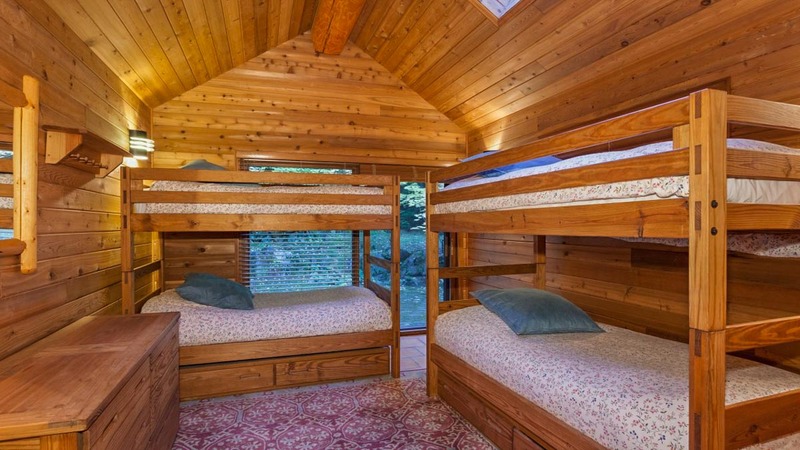 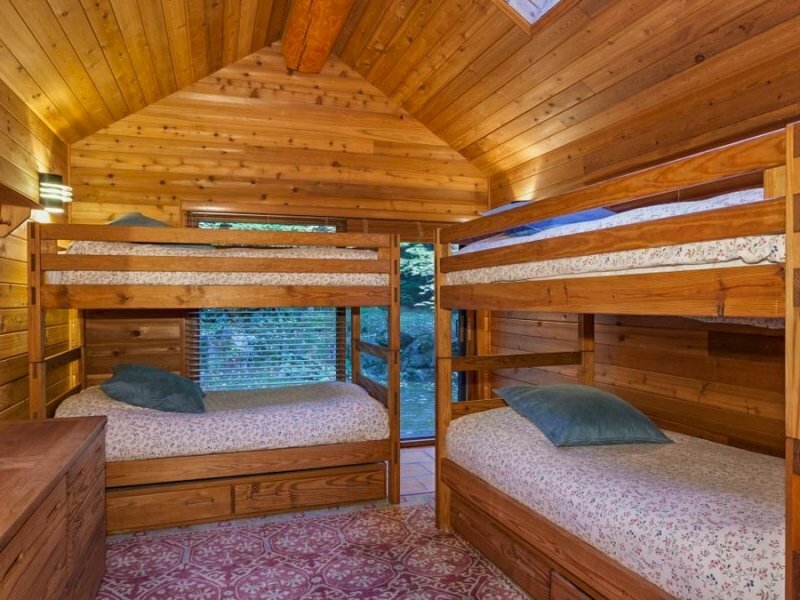 A guest bedroom that features two sets of twin bunk beds, perfect for the kids or extra guests. 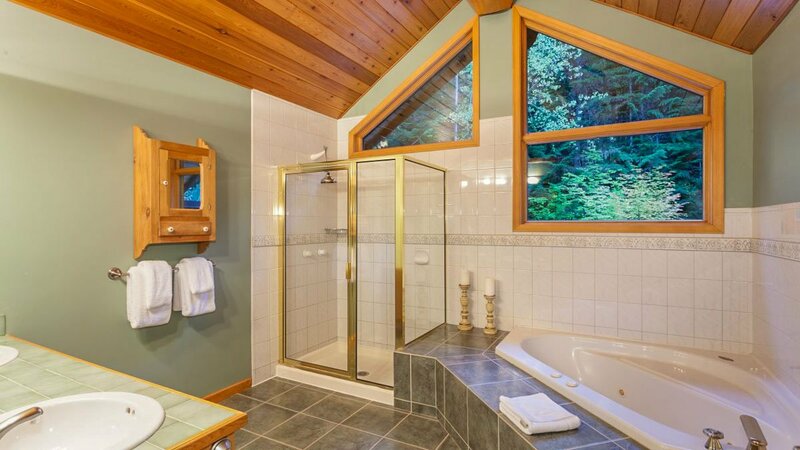 There is a separate bathroom with glass-enclosed shower on this level as well as a powder room just off the entrance.